BLU makes a lot of phones—it can actually be hard to keep them all straight. The latest device to join the collection is the BLU Life One X3. To set this one apart, BLU has equipped the Life X3 with a gigantic 5,000mAh battery. The phone has some other interesting qualities, but that battery is probably something else. The BLU Life One X3 has a 5.5-inch 1080p LCD under curved glass, and the frame is all aluminum. The 5,000mAh battery won't charge as fast as the Life One X2, though. The X3 lacks Qualcomm Quick Charge because it's running a MediaTek chip. It's the octa-core Mediatek 6753. You also get 3GB of RAM and 32GB of storage. This phone will eventually cost $249.99, but BLU is selling it at $149.99 for a limited time. At $250, this phone seems like a tough sell, but the discounted price is solid. It's in stock on Amazon already with Prime shipping. 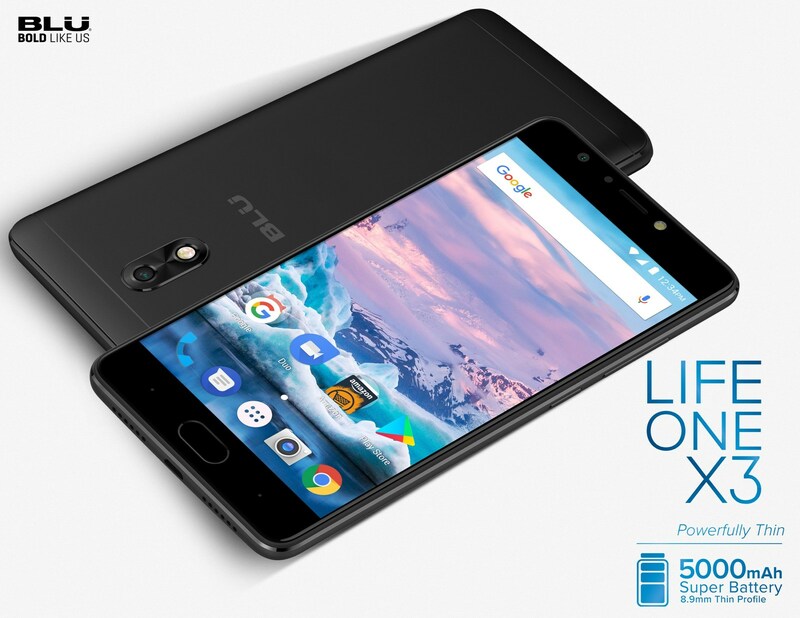 MIAMI, Dec. 14, 2017 /PRNewswire/ -- BLU Products, the market leader in unlocked devices in the United States, introduced the Life One X3, the successor to the Life One X2. Known as one of the best value smartphones available, the Life One X3 features key improvements with a hefty 5,000mAh battery while maintaining an incredibly slim 8.9mm profile and a superior 13 megapixel front selfie camera. The Life One X3 features a vivid 5.5-inch Full HD curved glass display, ultra-fast Fingerprint sensor, and incredible battery life. The Life One X3 is already available for $249.99 on Amazon.com.